There is something very strange happening in the world health system. “Institutions like the GHSI and Louis Pasteur engage in institutionalized unethical behavior when they advocate the deaths of “vectors and victims” or seek to weaponize deadly pathogens, making them deadlier when they escape the lab setting. These institutions attract exactly the psychological types that should be least trusted with access to deadly agents. “It does not surprise me that, for example, live pandemic viruses would “somehow” get from one “Level Three” containment building to another separate containment building and contaminate large numbers of vaccines, as happened in 2009 in Europe. Nor does it surprise me that a possibly psychotic truly “mad scientist” (who engaged in odd cult activities in his free time) would release dangerous Plague pathogens in Madagascar, triggering what could become a world pandemic over the next few weeks. 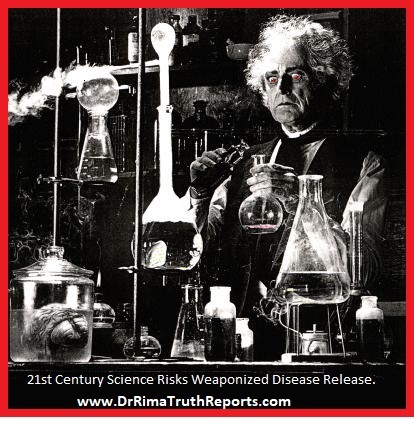 To Dr. Rima’s concerns we must add our worry that where there are one or two mad scientists, with an “allegiance” to the truly terrorist concept of world depopulation who are releasing deadly pathogens, there may be more. Like “lone wolf” ISIS adherents, we must also now consider what else lurks on the fringes of society. Will the world discover, over the next few weeks to months, that a Hidden Cabal of Genocidal Genomists are spreading disease to “reduce the risks” of what they see as overpopulation? Silver is your best protection from Plaguezilla. the article is important to read and i am ready to investigate for myself. What makes it unbelieveable is that it it actually an infomercial for selling the ‘cure’. Ruined the story for sharing with others.